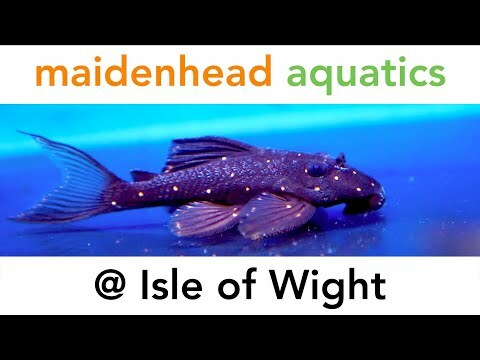 Welcome to Maidenhead Aquatics at Isle of Wight. We are located within the main building of Dalverton Garden Centre on the trunk road from Sandown to Newport, and are ideally situated to meet the needs of the Island’s hobbyists and experienced aquarists alike. Whether you’re looking for a goldfish as a first pet, building a marine reef aquarium or considering a pond for the garden, our aim is to satisfy your every need and provide an inspirational, five star experience for everyone. In keeping with the best traditions of the UK’s largest, leading specialist aquatics retailer, this store offers an extensive range of dry goods from leading manufacturers at everyday low prices, plus exclusive products available only at our stores. Our mission is to provide exceptional selection of healthy livestock and quality of displays which are second to none and inspirational to all. We very much look forward to welcoming you in-store soon! Continue STRAIGHT ON at traffic lights. 4.1 miles. At T junction ahead TURN LEFT on A3055 for SANDOWN. 4.6 miles.